It was the summer of 2002. Brother Rafael Donato had already passed the retirement age of 65. He did not want to go yet; he was in his element in Lipa and there were still many things that he wanted to do. However, he was also very old-fashioned in many ways; and certainly where being a religious person was concerned. I personally heard him speak – many times, as a matter of fact – about the vow of obedience and how much he subscribed to the notion of doing what he was told by his superior. This was the actual picture I took at the South Gate of DLSU-Manila in 2002. To take the place of Brother Rafael as President of De La Salle Lipa was Brother Manuel Pajarillo FSC, who we shall all refer to from this point on as Brother Mawel. 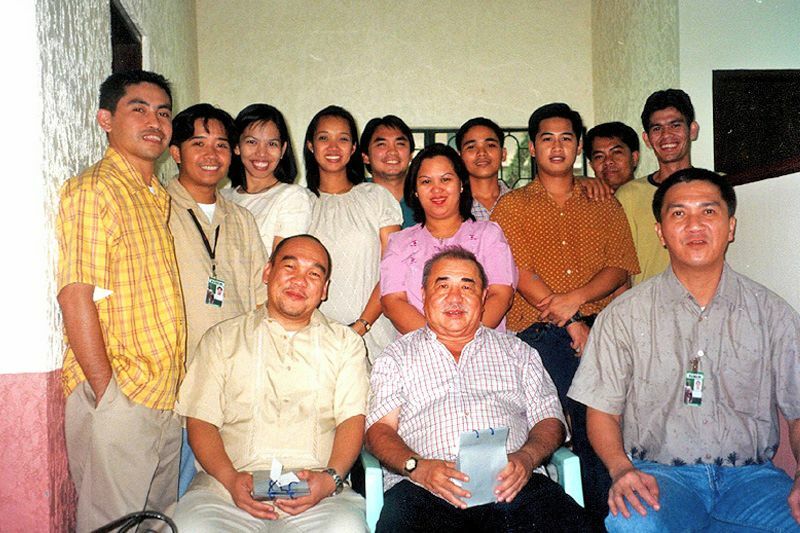 The latter’s previous assignment was as Director of the DLSU-Manila Brothers’ Community. As always whenever there were major events, I and my staff at External Affairs were asked to take charge of organizing the installation ceremonies for the incoming President. I was designing the souvenir program and needed a high-resolution photograph of Brother Mawel. So I asked Brother Rafael if I could go visit Brother Mawel at DLSU. I asked a colleague, Roy Dimaculangan, to accompany me. We had made a prior arrangement to meet with Brother Mawel, so it did not take long after we arrived for the latter to meet us at the South Gate of DLSU. Brother Rafael Donato gave DLSL "form" with elegant and modern buildings. Taken during an Administrators' workshop. Mr. Juan Lozano, Chancellor, would be just as instrumental in DLSL attaining "substance." I took a few shots of him along the hallway leading into the campus from the South Gate; and then off we went to find dinner. We went to this mall in Malate and ended up at this fast food joint called Sbarro, which specialized in Italian food. I knew Brother Mawel from as far back as the eighties. 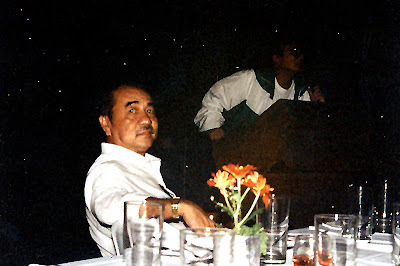 Although he was a novice in Lipa in 1981 before I started teaching, I probably got to know him – albeit, only loosely – in the mid-eighties when he came back for his practice teaching. He was talkative; so Roy and I immediately felt comfortable in his company. We talked about all sorts of things; but mostly he wanted to hear about Lipa. At External Services, we hosted Brother Mawel and Brother Rafael in our monthly Lasallian Hour. I was probably getting a head start with Brother Mawel over my fellow administrators. If there was one thing I thought he ought to focus on, I remember having told Brother Mawel, it was academics. In not so many words, what I was saying to him was that the school already had the form thanks to Brother Rafael; but the substance was lagging behind. I am sure Brother Rafael – had he been within hearing distance – would have given me a right proper knock on the forehead with his knuckles. I meant every word, though. Brother Rafael gave us fabulous buildings; and for these, I would be eternally grateful. But our strategic planning workshops were becoming no more than social affairs, with plans presented the year before presented again the following year. And the year after… I felt we were going around in circles. Yes, we were making progress; but we were doing so at the same pace with which Brother Rafael did his campus walks with his dog Bravo. I hoped Brother Mawel would lead us past the rhetoric and towards the recognition of our academic programs that all our fabulous buildings deserved. In the beginning, Brother Mawel was Brother Concept Paper. Nothing could be started without a properly written concept paper. We were even forced to rethink many of the things we took as a matter of course under Brother Rafael. Having a concept paper did not necessarily mean something would get approved. It had to be well thought of and well written. There must have been more concept papers that got killed than those buried by the Ampatuans in Maguindanao. To those who do not know Brother Mawel, he is the sort who can discourse in quick succession about eight ways to slice a chicken without any reference manuals to read from and without batting his eyelashes. Among other things… To the unintelligent, he was too fussy. But those who could rise above their resentment were soon learning how to think logically, sequentially, critically and creatively. Gradually, this new thinking was filtering down to many administrators, faculty, staff and – most importantly – students. It was not so much that we did not have it in us before. We just did not know how; and there was the added premium of learning how not to sit on our laurels. I can go on forever; but all the other stories will have to come all in good time. 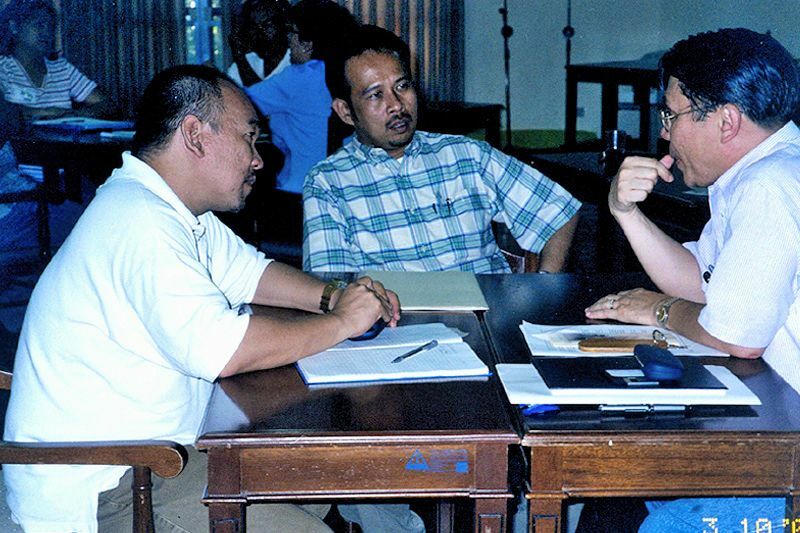 By the time Brother Mawel’s term expired seven years after he first arrived, we had added several new programs and improved existing ones; become networked with colleges and universities around the world; sent faculty members to deliver papers in international conferences; and – the crowning glory – earned our first-ever licensure board topnotchers. The tarpaulin wall in front of the school was becoming too short to accommodate everyone’s achievements! The crowning glory of Brother Mawel's term as President was DLSL getting first and second in the CPA board examinations and sixth in the ECE licensure. When we gave Brother Mawel a send-off party just before the end of his last school year at the helm, we showed this video of administration staff saying their goodbyes and giving their tributes. “I do,” Brother Mawel, who sat close to me, reassured me. He probably would have focused on academics, anyway, even if I had not spoken to him. 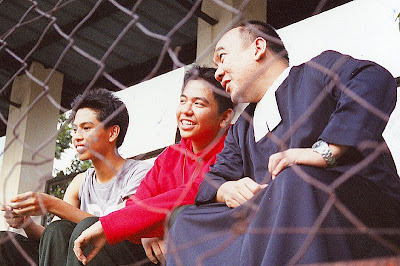 Brother Mawel was and probably will always be an academician. All I really cared about was that, by the time we parted ways, the form had all the substance it so richly deserved.